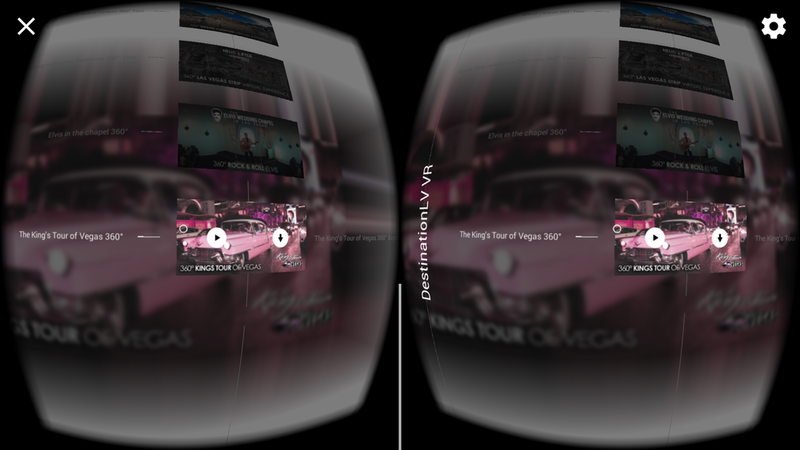 Destination Las Vegas Group Launches VR 360 App Available on the App Store and Google Play Marketplace. Now available on the Apple App Store and Google Play store, DestinationLV VR is an immersive virtual experience using the Google Cardboard platform. Featuring some of the most beautiful and adventurous pockets of Las Vegas, Destination Las Vegas Group hopes this new app will let prospective brides and grooms experience their unique ceremony venue before they arrive. A New App that delivers VR content focusing on Las Vegas ceremony venues and luxury destination weddings. Destination Las Vegas Group hopes to stay on the cutting edge and welcome new technology as it becomes available. The creation of this virtual reality app gives android and iphone users a brand new experience, a new way to select from the most unique wedding and vow renewal ceremonies imaginable. The DestinationLV VR App is free of cost, works on iphone and android devices and is available in every country. This app requires use of Cardboard VR goggles. Please visit https://www.destinationlv.com/vr-app/ for more info screenshots and demos.